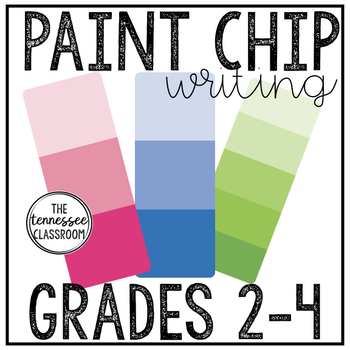 An engaging, imagination-inspiring writing activity for intermediate students! 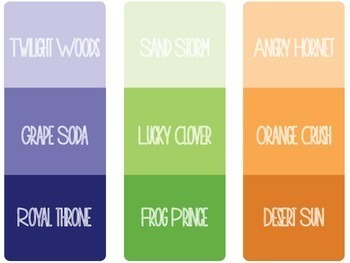 Students will select a paint chip and use the name of one of the colors to title a creative story! Think of the stories kids could be inspired to write with titles such as "Egyptian Sun", "Lucky Clover", "New Baby Boy", or "Royal Purple". 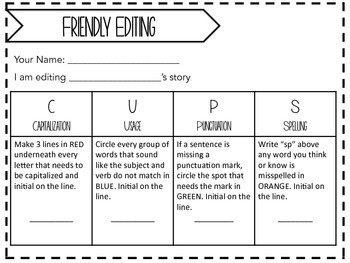 The process is a ton of fun for students, and you will love to see what they come up with! **I typically snag real paint chips from a hardware store before introducing this project, but the printed ones also work very well when laminated! As the teacher, you have several options on how to use this activity. You can easily use it as a whole-group writing project, or you can staple all of the pages together for students to work through the packet at their own pace in a center! If you love this product, be sure to leave a review and follow my store to see new things when they are released!